Character design, background design, and storyboards. Hey, Bent let me animate this one. Imagine that! Also did character designs and background art. 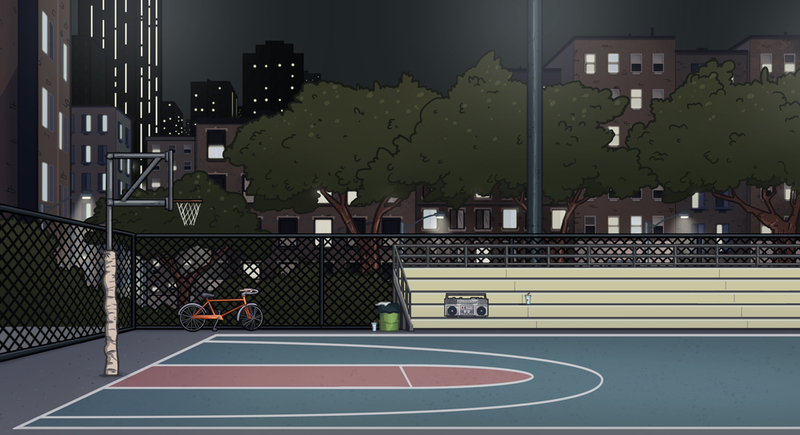 Justin Khoa Mai developed a fun and addicting mobile basketball game titled Basketball Time. Available now on IOS platforms. I created some of the background art and character designs. Bent Image Lab created three beautiful stop motion spots for AT&T. I had the pleasure of doing concept designs and layout art. The puppeteers, set artists, and animators did a great job bringing everything to life. Bent Image Lab let me storyboard one of the most fun projects I've worked on. This spot is beautifully rendered in a combination of 2D, stop motion and computer animation.